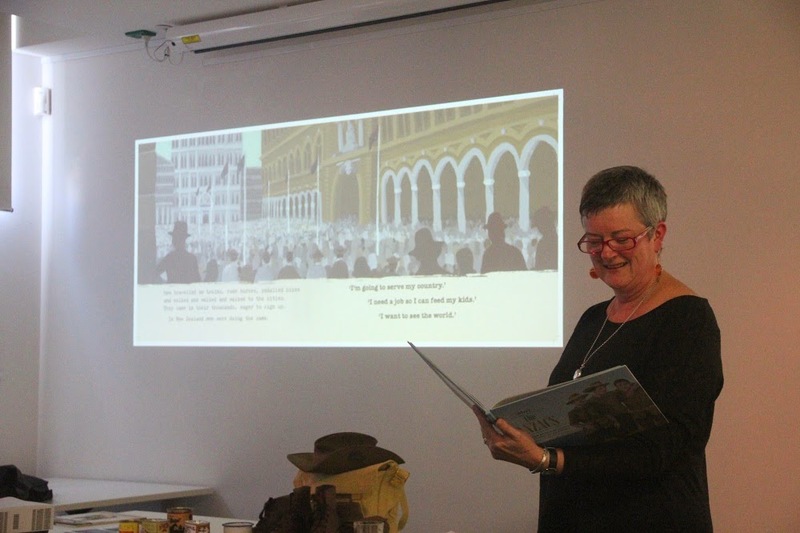 Today I’ll be talking with Jonathan Green and John Schumann on RN Drive, ‘In the Drawing Room’ about our new picture books and about writing war for young people. 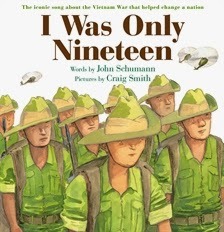 John is author and singer of the classic Vietnam song ‘I was Only Nineteen’ which is now a picture book, illustrated by Craig Smith. 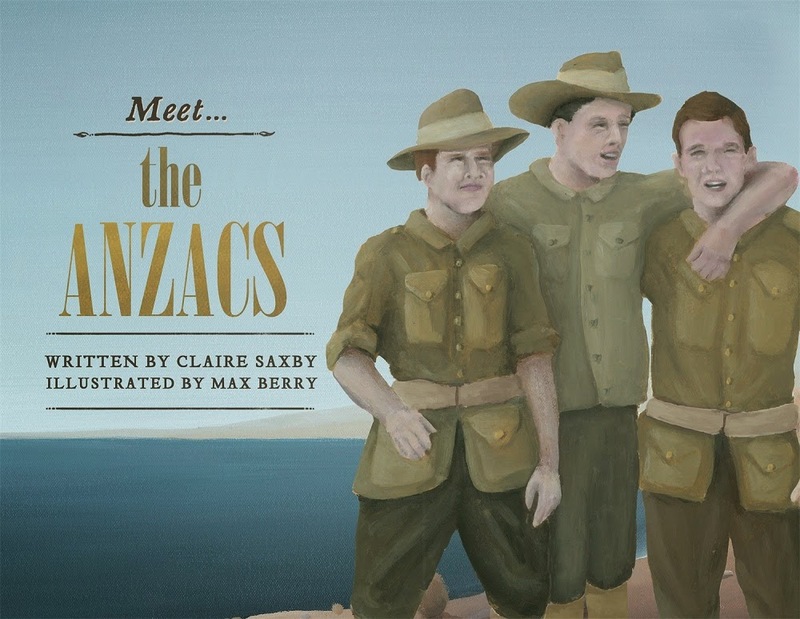 My book, ‘Meet the Anzacs’ is illustrated by talented young painter, Max Berry. Our books both talk about war, but different wars and different perspectives. But so much is the same. No one can ever be prepared for how war will affect them and no one is the same after experiencing war. Tune in to RN Drive AM 621 between 6pm and 8pm tonight to hear what we talked about. There will be a podcast on the website later. Seadog was read on Playschool today. What a thrill! Alex Papps did a great job sharing Seadog with the world. Go Alex! Go Playschool! Go Seadog, go! 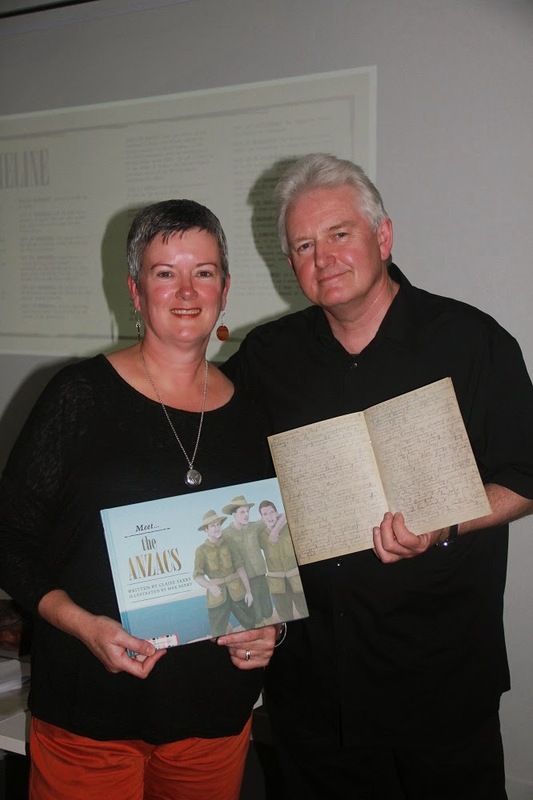 ‘Meet the Anzacs’ is launched! 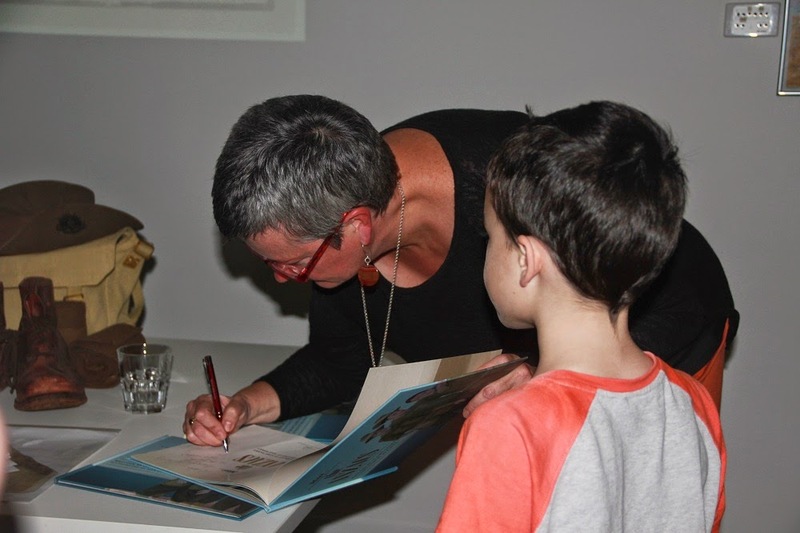 Yesterday, Mark Wilson, talented Melbourne author and illustrator (and musician and conservationist … ) travelled the breadth of Melbourne to launch my new picture book. 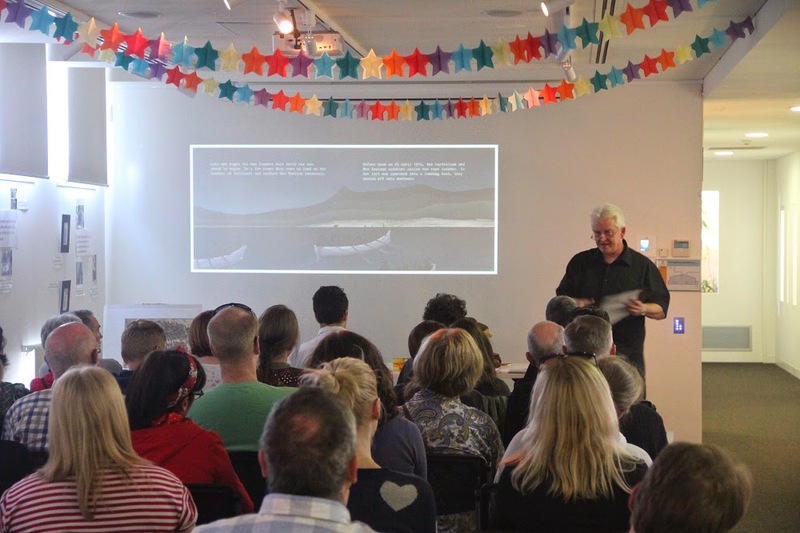 He talked about writing war for children and included some amazing diary entries and photos. 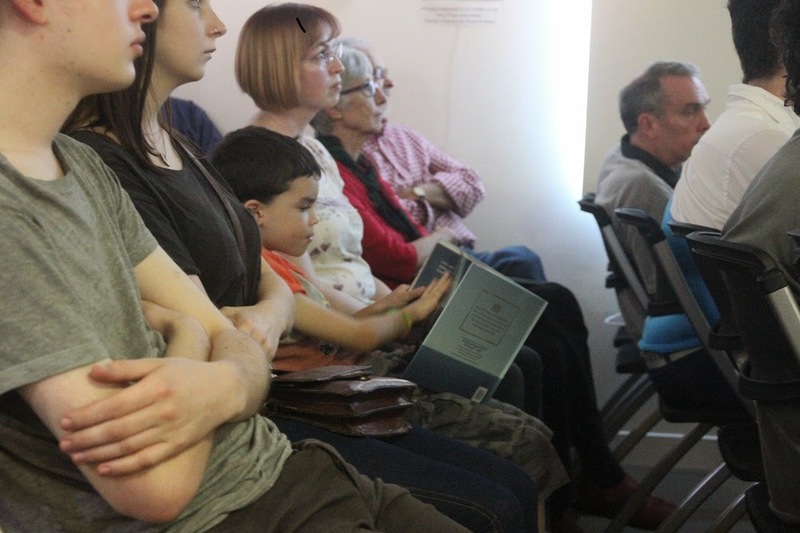 A young audience member read his copy of ‘Meet the Anzacs’ as I did, making sure I didn’t miss anything. He didn’t take me to task, so I’m taking that to mean that I got it right. My husband ‘turned pages’ digitally as I turned the paper pages. As I was writing this spread, I was visualising Melbourne Town Hall, but the illustrator, painter Max Berry, is a Sydneysider and he’s drawn Sydney Town Hall. It’s beautiful, as are all the images, but in my head, the men are still lining up in Swanston St! I had hard tack biscuits (tasted by some hardy souls! ), Anzac biscuits, cake, tinned corned beef and more. There were army boots that my son’s gf threatened to steal … amazing construction, completely leather lined and a leather stacked heel. I can’t blame her. 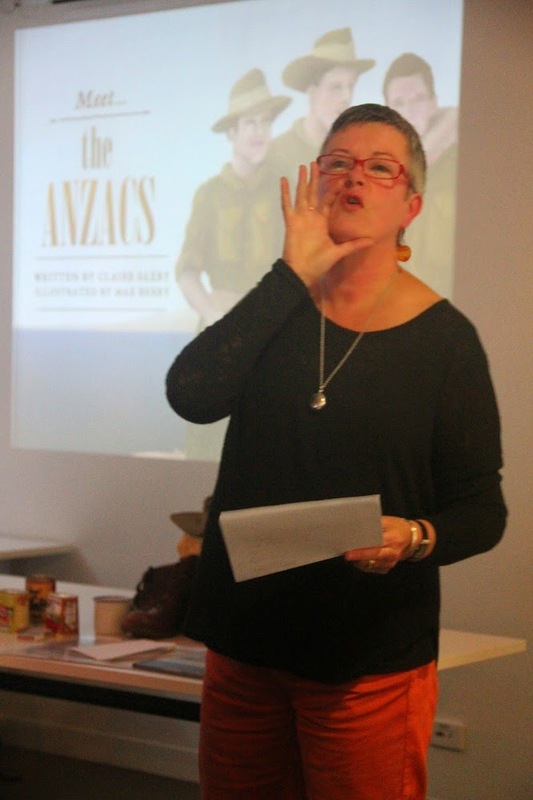 I am so grateful to friends and family, teachers and librarians who travelled to share yesterday with me. I love the opportunity to show them what I’ve been doing … that it’s not all faffing about and gazing into middle distance. Today I was in the city prerecording a radio interview for RN Drive with Jonathan Green and John Schumann (author and singer of ‘I Was Only Nineteen’ illustrated by Craig Smith). Listen out for that on 621 next Wednesday or Thursday evening. Today is a big day in the world of Australian children’s literature. It’s the day the CBCA announces the Notable books and the Shortlist for 2013 books. Here is the full list of Notables and the Shortlist. Congratulations to all the creators. 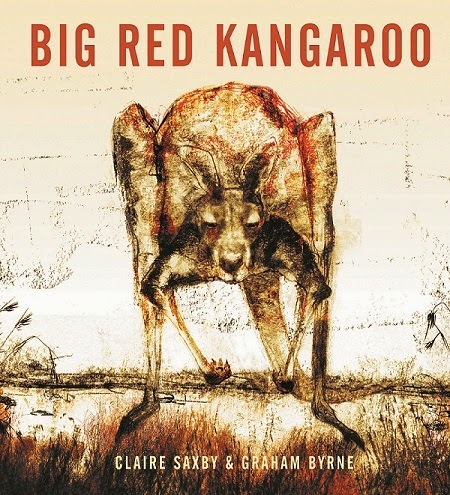 I am thrilled that ‘Big Red Kangaroo’ is a Notable Book in the Eve Pownall Award (Information Books) and Big Red’s illustrator is shortlisted for the Crichton Award for new illustrators.